Are you thinking about remodeling your basement? Are you starting to notice water making its way into your existing basement? If you answered ‘yes’ to either of these questions, it’s wise to start thinking about having your basement waterproofed. How do you waterproof a basement? The safe and easy route is to utilize the services of a professional Glen Ellyn basement waterproofing company. Interested in utilizing a basement waterproofing company in Glen Ellyn, Illinois? Need help finding one? Here are some key tips to utilize during your search. When choosing a basement waterproofing company, we recommend choosing a company with real-world experience. The more experience a company has, the more likely that company will be able to carry out work in a professional and competent manner. At a minimum, it’s wise to choose a company that has 5 years of waterproofing experience. A company that has been in business for this long will likely have proven its trustworthiness. We advise against hiring a waterproofing company that does not have insurance. If you do so, and if that company causes damage to your property, you could be responsible for the damages. At a minimum, you should make sure the company has general liability insurance. 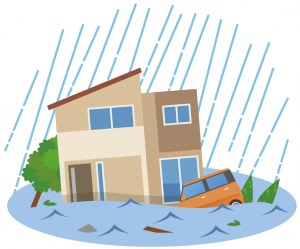 This will cover you and your home in the event that any destruction occurs during the waterproofing process. Before hiring a waterproofing company, it’s wise to inquire about its working practices. You might want to make sure that the company you hire provides services in an appropriate manner. Will the people working on your home be employees or sub-contractors? The more you ask, the more you will know. If a waterproofing company has a good reputation, you can reasonably expect them to perform quality work. In contrast, if a company has a bad reputation, it is probably unreliable, shady, incompetent, or any combination of these things. For this reason, it’s vital that you read some online customer reviews before making a hire. Review sections on Yelp, Google, and Facebook should help you to get a feel for a company’s overall reputation. If you want to leave as little doubt as possible, ask for referrals. Any reputable company will provide referrals from past customers. Depending on what you’re having done, basement waterproofing projects can take quite a bit of time. Whereas some projects might last only 30 minutes, other projects could last hours or days. It’s important to remember that, for the duration of your project, your home will be partially unusable. This is why it’s wise to inquire as to how long your specific project will take. Getting an estimate on the duration of your project will allow you to plan appropriately. Just as you should get an estimate on the duration of your project, you should also get an estimate on the cost of your project. Basement waterproofing services vary in price, and could potentially be costlier than you’d imagine. To avoid any future issues with billing, you can ask for an estimate, and make sure that you have the budget necessary to pay for the services rendered. Searching for a Reputable Basement Waterproofing Company in Glen Ellyn? If you live in Glen Ellyn, Illinois, and looking for an experienced, insured, and competent basement waterproofing company, look no further! You’ve found it here with ULB-DRY Waterproofing. Our team of experienced waterproofing specialists is well-versed in all aspects of residential basement waterproofing. Whether you need drain tiles, a sump pump installation, foundation crack repair, or otherwise, we would be happy to waterproof your home.